Orlando, FL, June 11, 2018 (GLOBE NEWSWIRE) — Busy family and work schedules can make planning and spending quality time with your significant other difficult. And whether you crave the glamorous nightlife and excitement of Las Vegas, a relaxing secluded mountain getaway, or something a bit in between, Holiday Inn Club Vacations makes it easier with resorts in destinations couples love. Lake Geneva is a well-known destination for Chicago’s wealthiest families for over a century, and has become one of the Midwest’s top couple’s getaway destinations. 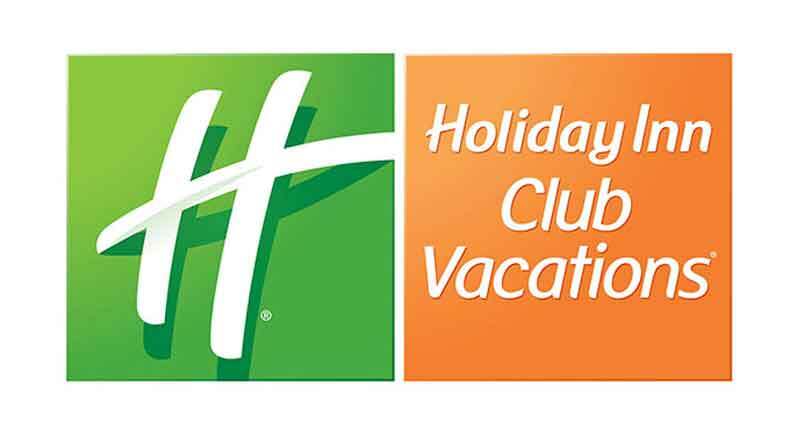 Holiday Inn Club Vacations at Lake Geneva Resort is located on the beautiful and historic Grand Geneva Resort, a short distance from Chicago and Milwaukee. With exclusive access to its many amenities, guests of Holiday Inn Club Vacations can enjoy a romantic escape. Imagine starting the day with a relaxing massage at the WELL Spa + Salon® or hitting the links together on one of the resort’s two, 18-hole championship golf courses. Then begin your evening with a fine dinner at Ristorante’ Brissago or a superb steak at the Geneva Chophouse®, followed by dancing at its Evolve nightclub, before retiring to a relaxing villa. And for those looking for more of an outdoor experience, the resort’s Adventure Center provides mountain bike rentals for its 8.5 miles of trails. Once the temperatures dip, couples can hit the resort’s slopes for skiing and snowboarding. Holiday Inn Club Vacations at Lake Geneva Resort is a year-round couple’s playground. Couples that enjoy the theatre and outdoor activities will love the beautiful Berkshire Mountains and countryside that is home to Holiday Inn Club Vacations Oak n’ Spruce Resort. Set along the picturesque Housatonic River at the base of Beartown State Forest in Lee, MA, hiking, sightseeing and outdoor activities abound. Looking to catch an intimate play in a historic theatre in the mountains? The resort is also located just a short distance from some of the area’s most iconic theatres and festivals. Famous actors including Al Pacino, Kate Baldwin, Dustin Hoffman and Linda Hamilton have all performed at its famed summer theatres. Several popular historic sites and museums call the area home including the Norman Rockwell Museum, Herman Melville’s Arrowhead and the Chesterwood Estate and Museum. And in the fall, a spectacular kaleidoscope of colors explodes across the region as autumn leaves begin to change, enticing visitors from around the world. Think of the resort as all the excitement without all the noise, which is why couples love Holiday Inn Club Vacations Desert Club Resort! Relax together in a quiet oasis at one of the resort’s five unique pools, before hitting the world-famous Las Vegas Strip to try your luck or delight in a spectacular live show that’s made Las Vegas nightlife legendary. When you’re ready to end the evening, catch a quick and free shuttle back to your luxurious villa to wind down. The resort is just one block from the Las Vegas Strip and provides the perfect balance of all the nearby fun and excitement of a premier couple’s destination, with the privacy and quiet of your own vacation escape right when you need it. Set on the Rio Waterway in one of Florida’s most exclusive island destinations, Holiday Inn Club Vacations Sunset Cove Resort is an all-Signature Collection retreat where guests enjoy spacious three-bedroom villas with unparalleled luxury and accommodations. Relax and unwind together with upgraded furnishings, gourmet kitchen, spa tub with hydro-jets, and premium linens. You’ll also be pampered with personalized concierge services, a zero entry pool overlooking the waterway, complimentary beach shuttles and guest boat docking. Plus, world-class dining and shopping, championship-level golf and entertainment are all within easy reach. Couples can enjoy a romantic day on the island’s renowned white-sand beaches; view a stunning sunset from a cocktail cruise, and then an evening at locally renowned seafood and steak houses like Marco’s Prime and The Oyster Society. This island oasis will surely create memories to last a lifetime.